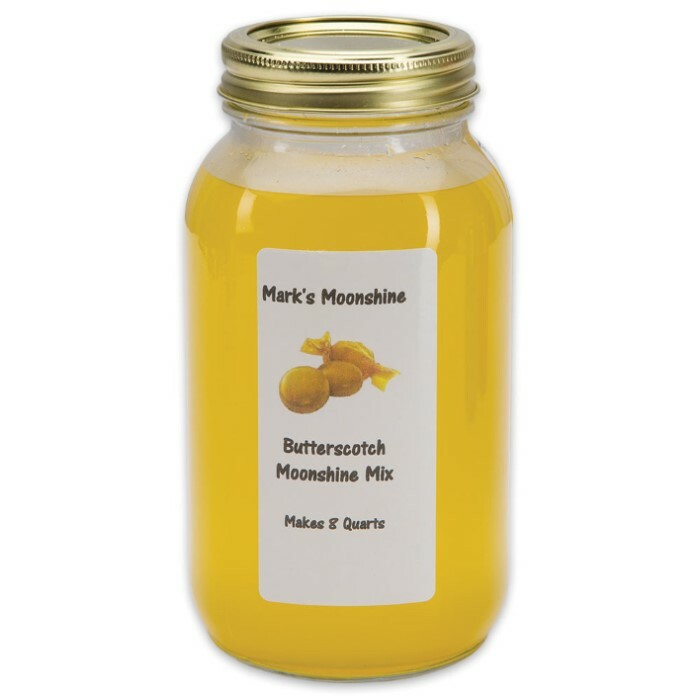 Mark’s Moonshine Mix Butterscotch - 8 Quarts | BUDK.com - Knives & Swords At The Lowest Prices! 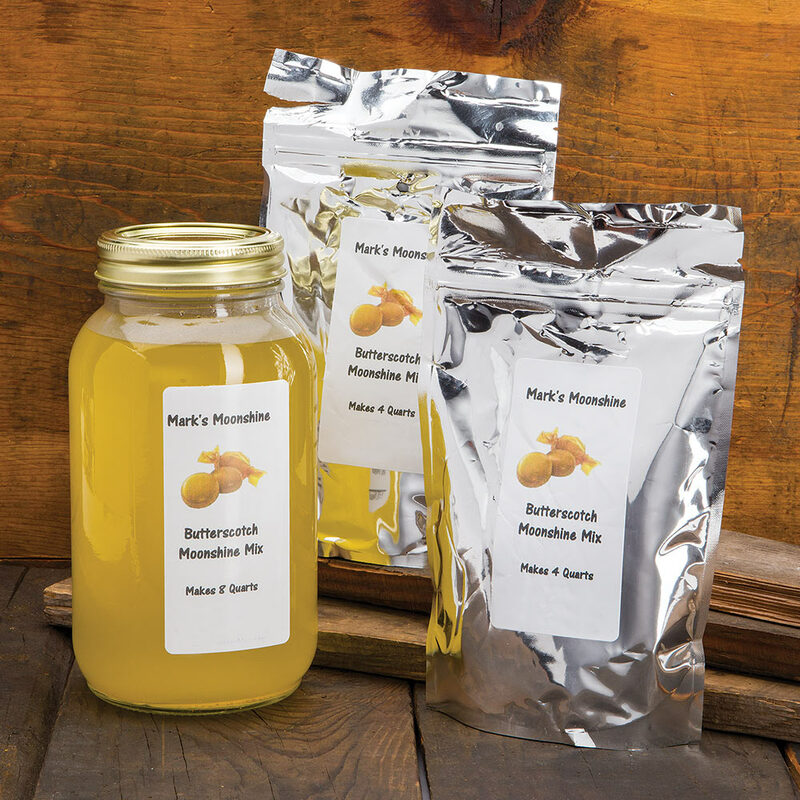 Tired of the taste of your old boring moonshine? 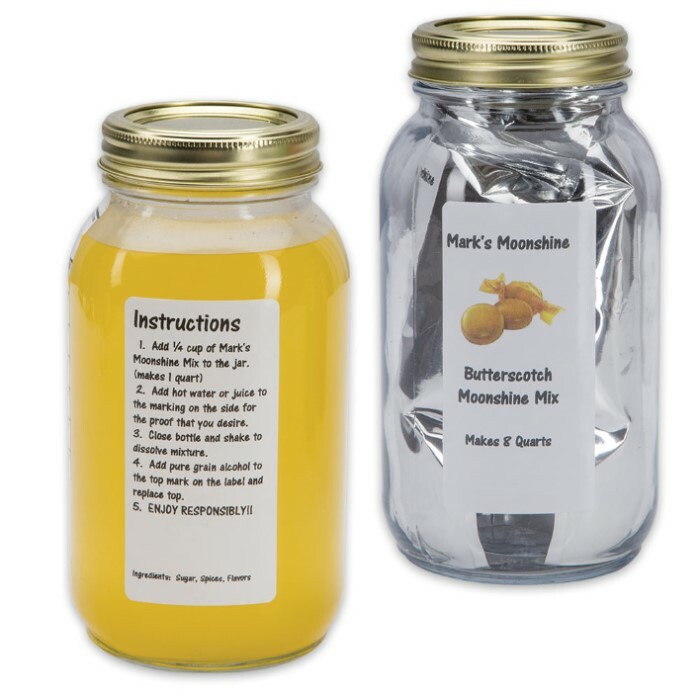 Liven it up today with Mark’s Moonshine Mix and you’ll think you’ve died and gone to Heaven! In this kit, you get two four-quart bags of the buttery and rich butterscotch mix, detailed instructions and an old-timey mason jar to mix it in. It’s quick and easy to prepare and you can mix it exactly to the proof you want. If ‘shine isn’t your thing, you can use this delicious mix with a variety of alcoholic beverages.